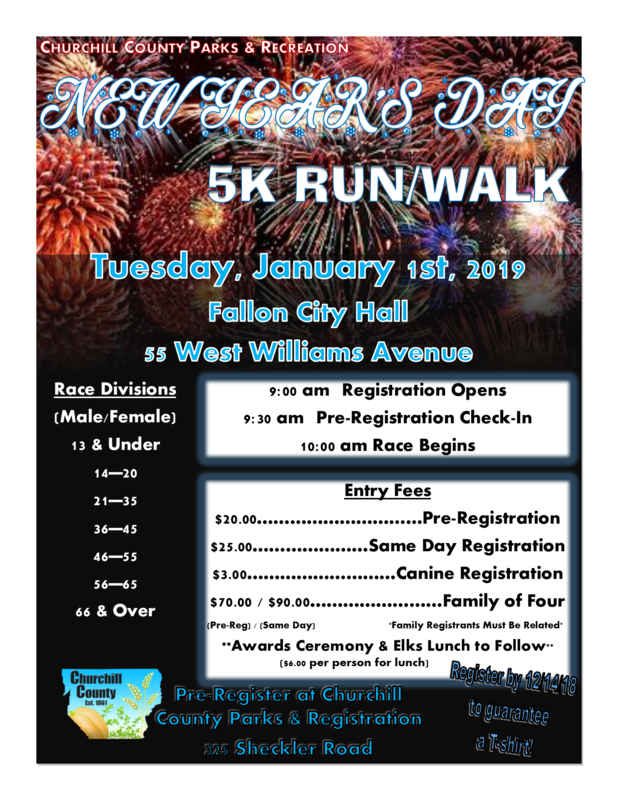 Churchill County Parks & Recreation invites you to join in the New Year’s 5K Fun Run/Walk. 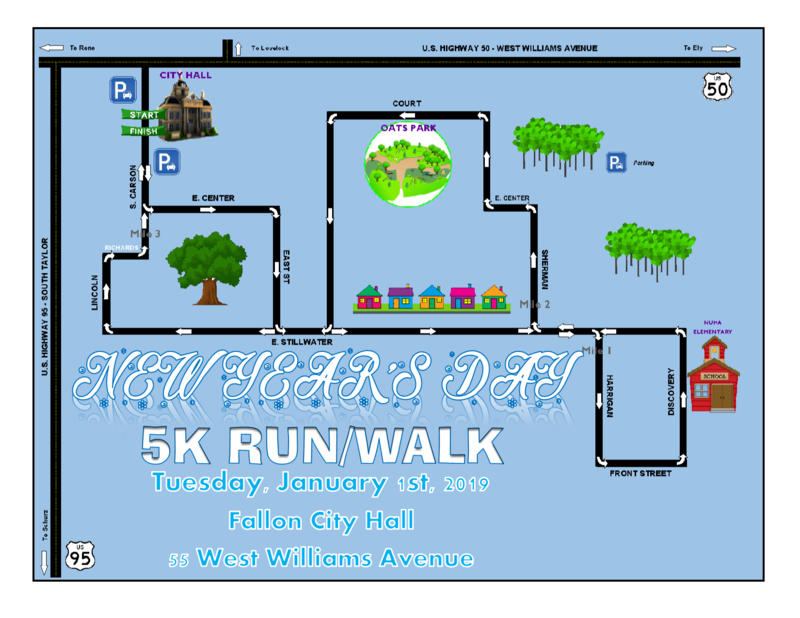 The race begins at Veteran’s Park, 55 W. Williams Avenue (behind City Hall). The event is Dog-Friendly and costs $3.00 per dog. Those registered by Friday, 12/14/18 will be guaranteed an event shirt.